We’ve recently watched the first episode of the new series called Rotten on Netflix. The episode concentrates on honey and pollination in the US. It reveals the rather shocking measures that people will go to in order to cut honey with various syrups in order to maximize their profits. It explains how huge quantities of Chinese honey is dumped on to the american market, often via an intermediary country to disguise its origin. Much of this honey is mixed with rice or corn syrup to make it go further. Some contains antibiotics that can be dangerous to humans. The program shows the elaborate testing that some imported honey goes through and explains that the tests are of limited value – they can only detect what they are testing for, other contaminants will remain undetected. The producers are always one step ahead – honey can even be filtered with incredibly fine filters in order to remove any pollen grains which would give an indication of the origin. The episode also touches on the migratory beekeepers in the US – in February each year most bee farmers seem to take their hives to pollinate the vast almond orchards of California. They get paid well for this service, but at huge cost to the health of the honeybees. It was all rather depressing viewing, but fascinating to see how large commercial honey companies operate. It is so far removed from how we treat our bees and honey. If you have ever wondered about large scale beekeeping, or why supermarkets are able to sell honey so cheaply (product of EU and non EU countries) then I urge you to watch this. 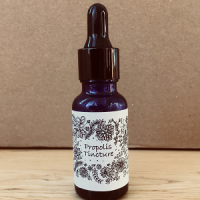 This entry was posted in Blog, Uncategorized and tagged local honey, natural, pure, urban beekeeping on 8 January 2018 by Helen Rogers. We deliberately use labels that can be easily removed, so that once the jars have been thoroughly washed they can be reused for honey again. 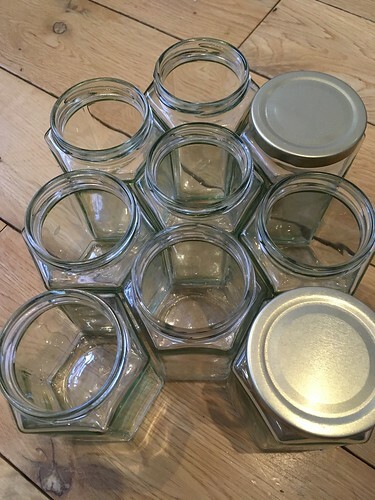 We have to use new lids, so if they have been lost then we’d still like the jars. 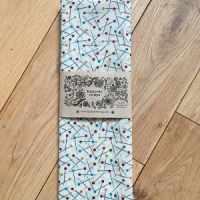 This entry was posted in Blog, Hive News and tagged homemade, local honey, recycling, reusing, urban beekeeping on 3 January 2018 by Helen Rogers. 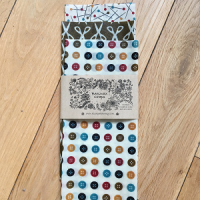 We’ve been making these for a a few years for our own use and for gifting. 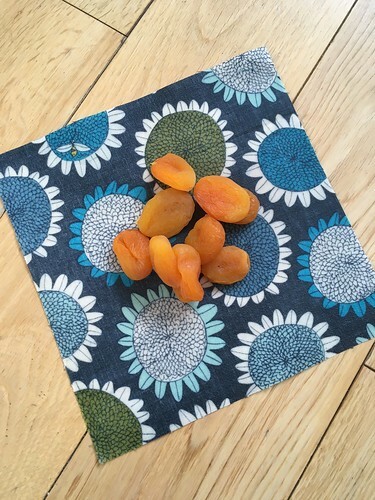 After much prodding from a friend we finally took the plunge and made a huge batch of beeswax wraps to sell. 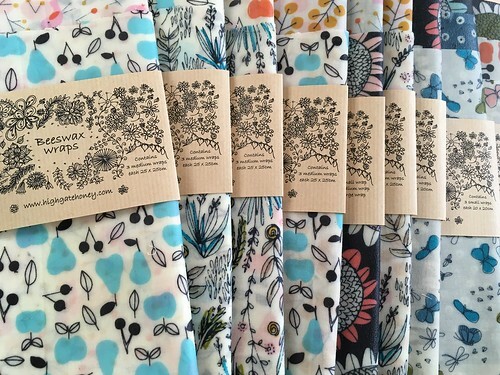 They are the sustainable alternative to using plastic food wrap or plastic bags. 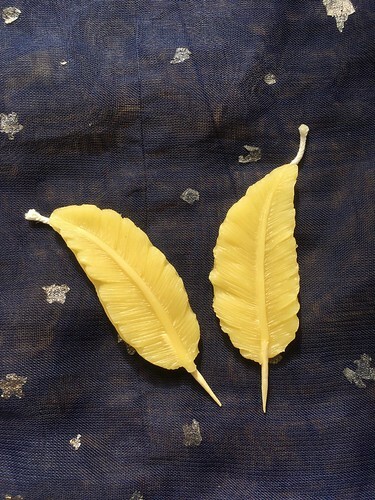 We make them with organic cotton, beeswax from our own hives, pine tree resin and jojoba oil. The brilliant thing about them is that they can be used again and again, and when they finally collapse (we have some that are two years old and still going strong) they can be chopped up and composted – they also make terrific fire starters. We use ours mainly for wrapping up after school snacks and sandwiches in lunch boxes. 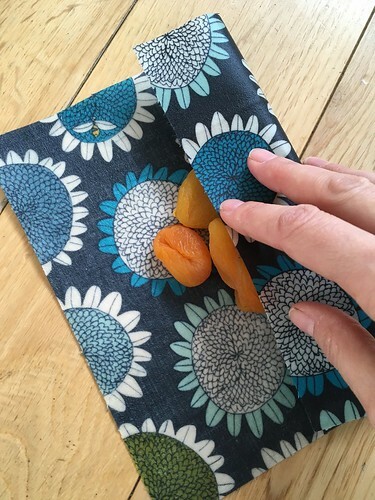 You just fold the wrap around the food and use the warmth of your hands to set the shape. 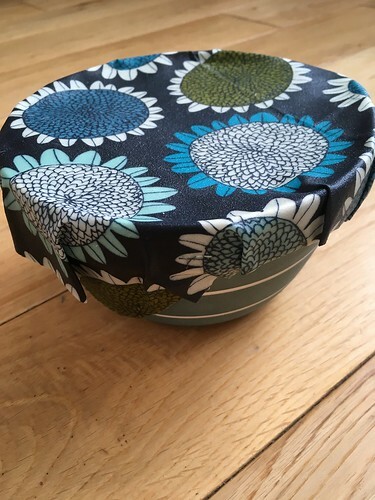 They are also great for covering bowls. 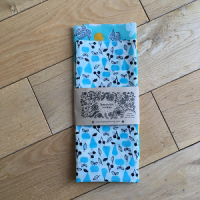 We’ve even made some huge ones suitable for wrapping a large loaf of bread. 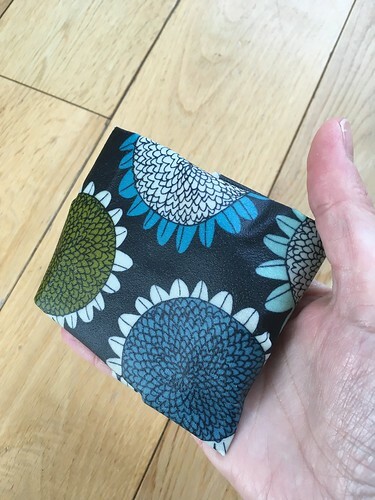 When you’ve finished using one, you just rinse it with cool water (hot water would melt the beeswax) and some washing up soap, leave to dry overnight then it is ready to go again the next morning. 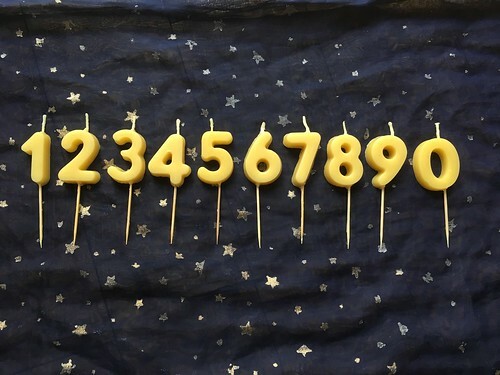 We will also have our full range of honey, gift bags, cut comb, candles and beeswax decorations. 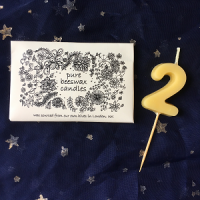 This entry was posted in Blog, Uncategorized and tagged beeswax decorations, beeswax wraps, candles, Christmas, Fortismere, gift, Highgate, homemade, local honey, natural, pure, urban beekeeping on 27 November 2017 by Helen Rogers. 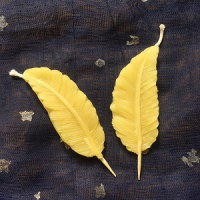 As well as making the most delicious honey our bees make beautiful wax. 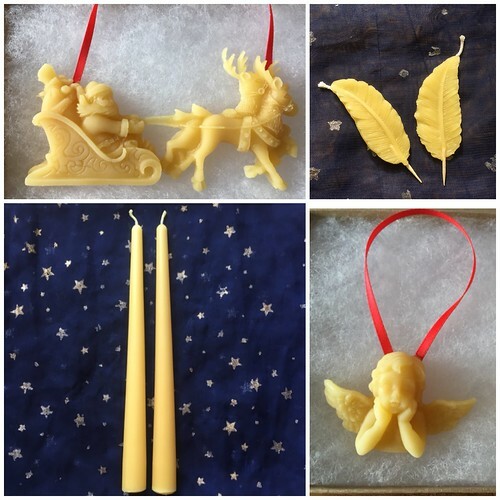 Beeswax is a fascinating substance – it has been prized for centuries for numerous uses. In medieval times bees were kept by monasteries primarily for their wax – candles made from beeswax give a steady, consistent, bright light, far superior to the tallow alternative. Good illumination would have been essential for writing and studying manuscripts. 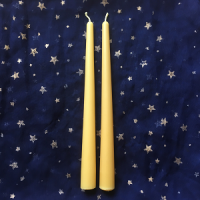 Nowadays beeswax candles are the most natural available. They burn very cleanly without any mucky petroleum soot. 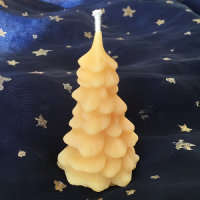 As beeswax is relatively expensive it is often mixed with other waxes to save money. 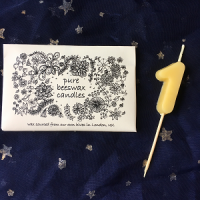 All of our candles are handmade from 100% pure beeswax which has been collected from our own hives. We never mix our beeswax with any other type of wax or with beeswax from other sources. We have now stocked our website shop with the new candles below, we still have our usual candles too! 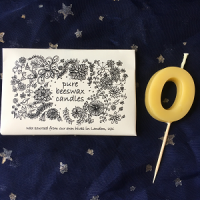 This entry was posted in Blog, Hive News and tagged beeswax, candles, handmade, natural, Number candles, pure, urban beekeeping on 1 November 2017 by Helen Rogers. Over the spring and summer we take honey from our hives in very small batches whenever there is some ready. 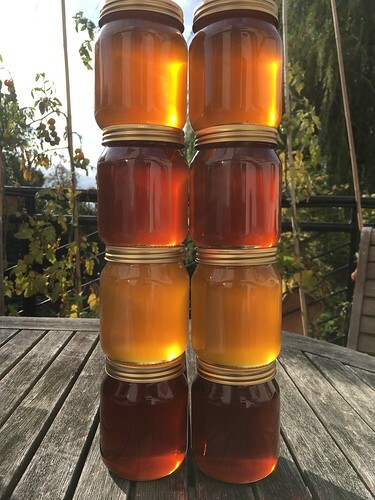 This allows us to really appreciate the variety of colours and tastes of honey that result from the different flowers that the bees forage on at different times of the year. This is a shot of just a few of the different colours of honey that we’ve extracted this year. Naturally they all taste quite different too. I’ve been particularly intrigued by the very dark honey at the bottom of the stack – it has a really delicious rich flavour. I know that Sweet Chestnut honey is very dark – There are a couple of small, newly planted Sweet Chestnut trees locally, but I wasn’t convinced that there had been enough flowers to yield much honey. 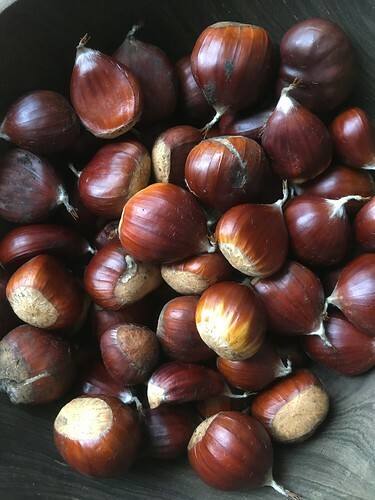 Today, cycling across Hampstead Heath, we discovered several huge Sweet Chestnut trees which are dripping in chestnuts – I think that these may well be the source of our fabulous dark honey. We’ll enjoy the chestnuts and the honey – what wonderful creatures bees are, collecting the nectar and pollinating the flowers. If you would like to try some of our dark honey we still have some jars in our on-line shop – it is Lot#33. 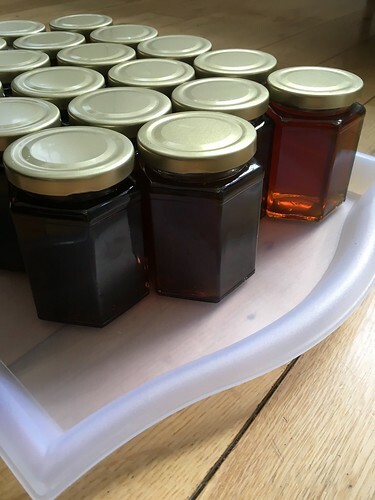 This entry was posted in Blog, Foraging and tagged Hampstead Heath, Highgate, local honey, Sweet Chestnut, urban beekeeping on 1 October 2017 by Helen Rogers.